Creating new customer contacts is BMO inventory system’s most basic and an important step. BMO inventory allows you to store various details of your customers including name, address, contact numbers, email address, profile photo, language and so on. In a way, it also helps to increase the lead conversion rate. 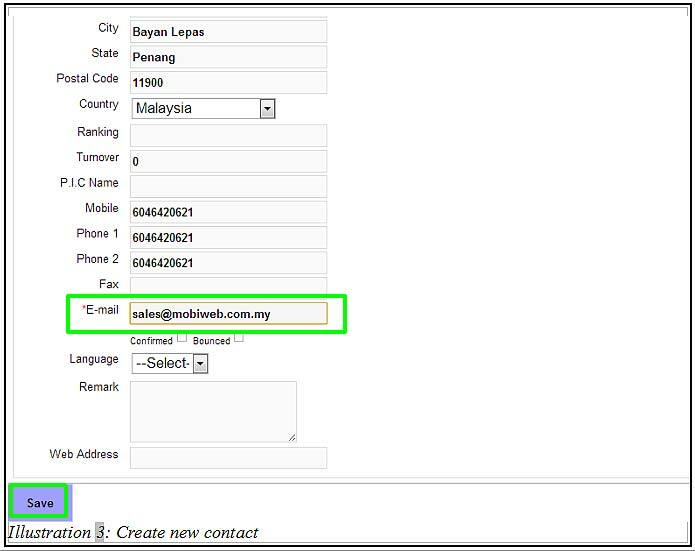 Below is a demonstration on how to create and store a new contact. 2. Make sure all the information the you need has been filled in, especially the Contact Name and Email columns. Next, save the contact by clicking on the Save button provided. 3. An alert message would appear for your confirmation. Click OK to dismiss the message. 4. Another message will be prompt to inform you that the details has been successfully inserted. 5. 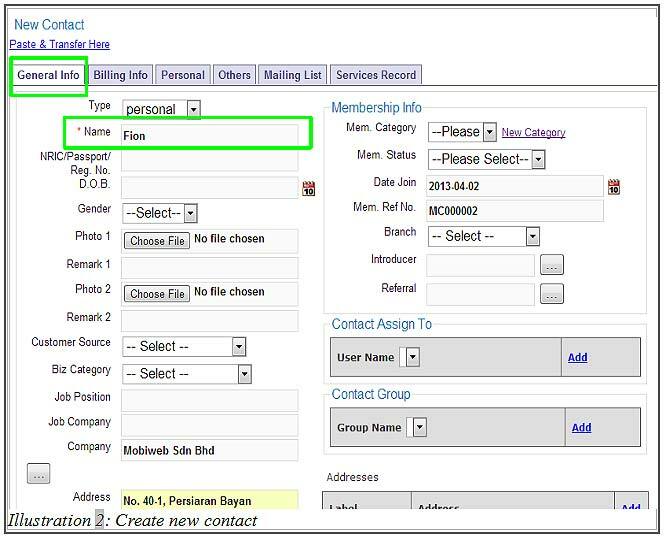 BMO inventory system would then redirect you to view the newly created contact as well as previously created contacts in the contact list.